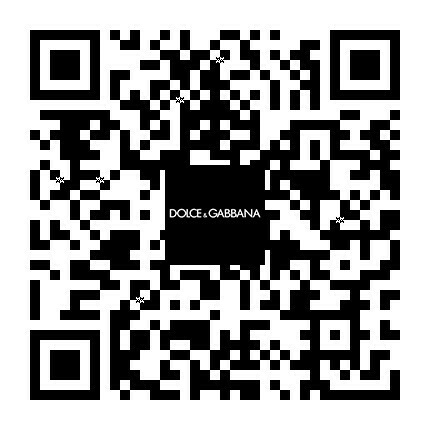 Dolce&Gabbana inaugurates its first boutique on Saint Barthélemy, adding a precious tile with a distinctly Caribbean flavour to the mosaic of new shops around the world. The boutique is designed by American architect Steven Harris, who planned a space that integrates the lifestyle of the Caribbean, the colours and atmosphere of the Mediterranean and clean marble floors that recall the chic Italian interiors of the 1950s. Spatial fluidity and organic continuity are what make the boutique an exclusive oasis. Delicate stone surfaces in pink and green onyx and white calypso, lend a feeling of lightness, tranquillity and harmony to the entire space. The furnishings are designed to echo the tasteful character of the island: cleverly illuminated palm plants that create a seductive play of light and shadows, oases of luxury, custom tables and chairs hand wrapped in rope and upholstery in natural hemp. The walls are clad in white calypso stone. A series of wall niches host the ready-to-wear collections and accessories, arranged on antique brass shelves and green vellum floating credenzas. The ground floor features jewellery displayed on translucent glass sculptures that suggest beach stones and coral polished by the sea. There are marble table tops on faceted stone bases where footwear and Women’s accessories are displayed. The staircase leading to the second floor is also in white calypso, accented by a handrail in blue vellum that recalls the stern of a speedboat. This is where the Men’s and Women’s beachwear collections are displayed with a layout that reflects the ground floor features. “We wanted the Saint Barth store to have a relaxing atmosphere, that it be a meeting place to enjoy a moment of tranquillity at the water’s edge”. 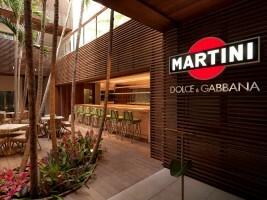 On the ground floor, in the tropical garden surrounded by palm trees, is the Martini Bar. A special dedicated collection for women designed exclusively for Saint Barth is available in the boutique. Two generous palm trees frame the ground floor space that provides access to the Martini Bar. An elegant and sophisticated place, a ‘hidden’ garden with walls of ipè wood and an interior furnished with tables in an array of pink and green stone as well as custom vellum, with an internally illuminated bar in pink onyx more than six metres long. The space is meant to be an exclusive oasis, inspired by the elegance of Italian courtyards and the traditional interpenetration of indoors and outdoors, a meeting place to relax and enjoy an aperitivo or a cocktail.